Last updated by Marcia Mayne at February 6, 2014 . Musical acts that open for big name performers, to use a Rodney Dangerfield phrase, ‘don’t get no respect.’ That’s mainly because the audience is so anxious for the headliner to take the stage that they mostly ignore the opening act. I wasn’t paying much attention to the opening act when [simpleazon-link asin=”B00864489G” locale=”us”]Rebirth[/simpleazon-link]’s Rivers Crossed Tour stopped at Howard Theater in the Nation’s Capital a few weekends ago. And even after local reggae music radio host and show MC, Tony Carr, introduced him, I wrote the performer’s name incorrectly. But [simpleazon-link asin=”B004B6MY94″ locale=”us”]Lost Between[/simpleazon-link], a 23-year old acoustic guitarist from Washington State, got my attention. With a voice that sounded like cigarette smoke had induced its huskiness, Tucker sounded older than his years, especially on his plaintive rendition of [simpleazon-link asin=”B000PHX4VA” locale=”us”]The Police[/simpleazon-link]’s, Roxanne. Tucker performed several of his own songs, including the catchy, Cool Kids, before leaving the stage for the headliner. Jimmy Cliff, Bongo Man a Come! Tucker got our attention but the evening belonged to Jimmy Cliff. The reggae master came on stage chanting, Bongo Man a Come, his powerful tenor backed by the syncopated rhythms of the Nyabinghi drums. The enthusiastic crowd of fans young and old, inside the theater seemed to double in size as everyone rose to their feet to chant, to celebrate the Bongo Man, who had finally arrived. Cliff, whose career spans almost 50 years, was on a cross-country tour to promote his latest album, Rebirth, which won the singer a Grammy award earlier this year. He has also been celebrating the 40th anniversary of the release of the iconic reggae film, [simpleazon-link asin=”B000BT9966″ locale=”us”]The Harder They Come (DVD + CD)[/simpleazon-link], which exposed him to a new audience and helped take reggae beyond Jamaica’s shores. Starting with the early days, Cliff led the audience decade by decade through a musical career that included ska, rocksteady, and roots reggae, introducing each song with the back story most people probably didn’t know. I had no idea, for example, that two different political groups had used his song, You Can Get it if You Really Want. Though he didn’t name names, it wasn’t difficult to find out that he was referring to the Sandinista National Liberation Front and the Conservative Party in Britain. Cliff underscored his clear disregard for politics (his explanation of the meaning of politics, poli-many, tics-a blood sucking animal, brought thunderous applause) before performing his protest song, Vietnam, which he renamed, Afghanistan. Cliff got his start with Leslie Kong and acted as Kong’s unofficial A&R manager bringing in singers like Desmond Dekker, who recorded his first hit, Honor Your Father and Your Mother. When Dekker introduced Bob Marley, Cliff got him to cut his first songs, Judge Not and One Cup of Coffee, with Kong’s label, Beverley’s Records. Of the film, The Harder They Come, Cliff said that producer Perry Henzell convinced him to take the starring role of Ivan by telling him that he was a better actor than a singer. Cliff’s performance was raw and energetic, and the film turned several of the songs, like Many Rivers to Cross, Sitting here in Limbo, and You Can Get it if You Really Want, which the singer wrote, into hits. Cliff’s penchant for musical experimentation might have made him difficult to package and probably because of that, blockbuster success, like that of a Bob Marley, for example, eluded him. And songs, like Let Your Yeah Be Yeah, that he recorded first became hits for other groups. Cliff ended his first set, which lasted over an hour, with The Harder They Come but cheers from his adoring fans brought him back to the stage with I Can See Clearly Now, from the movie, Cool Runnings, and You Can Get it if You Really Want. Reggae Nights and Johnny You Too Bad ended the show. At 65, Cliff performed with the energy and enthusiasm of someone younger. It was my time seeing him in person, and I was not disappointed. Photo of Jimmy Cliff from Wikimedia. The tambourine or timbrel is an important musical instrument in Revival churches in Jamaica. It is also featured in mento, Kumina and Pocomania music. According to Wikipedia, the tambourine originated in Greece, Rome, Mesopotamia, the Middle East and India. The Tainos, Jamaica’s original people, called it the maguey, and used it in celebrations for their ancestors. 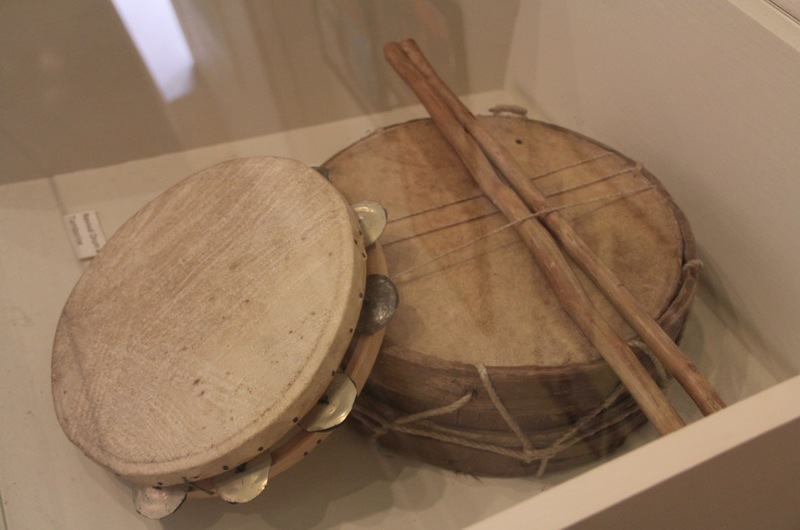 There are several references to the tambourine in Jamaican popular culture. In the Anancy story, Tiger Sheep-Skin Suit, Brer (Brother) Tiger plays the tambourine. Anancy (or Anansi), a spider and a trickster who outsmarts everyone, came to Jamaica from Ghana’s Ashanti people. Another reference comes in 1837, when Isaac Belisario (1794-1849), a Jamaican artist of Jewish descent, published several paintings on street life, which included costumed dancers and singers who sang to the music of fife, triangle and tambourine. The tambourine comes in different shapes. The most popular resembles a small drum with several metal disks placed at intervals in the side. To use it, the player shakes the instrument with one hand then strikes it with the other. Last year, when Prince Harry was on his official visit to commemorate the Queen’s Diamond Jubilee, he played the tambourine with British vocalist Gary Barlow who was also on the island recording music for an album commemorating the Jubilee. While waiting in the immigration line at the Donald Sangster International Airport in Montego Bay a few years ago, I heard the unmistakable sound of a mento band. They were playing a familiar tune, Take Her to Jamaica, and as I waited, I tapped my feet lightly and hummed along. The singing got louder as I exited immigration on my way to pick up my luggage from the carousel. By now, I could see the musicians – three or four of them. One was playing a rhumba box, a percussion instrument that I hadn’t seen in years. The rhumba box is a two foot square wooden box. It has a hole in the center to which is attached five metal strips that are tuned to different pitches. At that size, it’s also a seat for the musician and allows him to reach the metal keys. 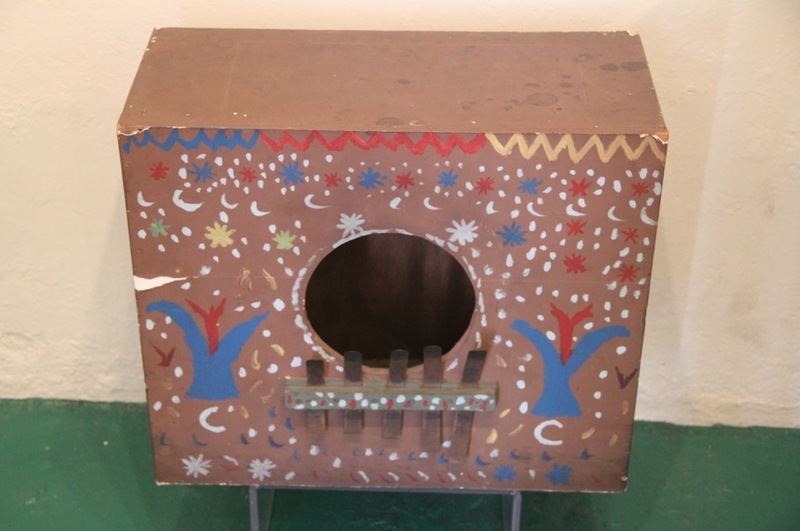 The rhumba box originated from the African mbira, or thumb piano. It made its way to Cuba, where it’s called the marímbola, then to other countries. In Jamaica, it’s synonymous with mento, the folk music that is a precursor to ska and reggae. Sitting on the rhumba box, he strummed the metal strips to hold the rhythm for the guitar and the maracas players as they belted out the words to another song, This Long Time Gal. I watched many stoic faces relax and smile as they heard the music. I was still humming to myself as I walked out of the airport. Click here to listen to the sound of the rhumba box and here to hear a mento version of Amy Winehouse’s Rehab by the Jolly Boys. I’m linking this post to the weekly photo linkup, Travel Photo Thursday, at Budget Travelers Sandbox. Be sure to head over and check out other photos from locations around the world. Enjoy! It wasn’t hard to miss this colorful object, called a dove harp, that was part of an exhibition on view at the National Museum of Jamaica (formerly the Institute of Jamaica). I thought I recognized the work as belonging to one of our local artists but I wasn’t sure. Everald Brown, a self-taught artist, was born in Clarendon, Jamaica in 1917. He embraced Rastafarianism and Revivalism and founded the Assembly of the Living, a mission of the Ethiopian Orthodox Church, in Kingston. In 1973, Brown moved his family from Kingston to a community in rural St. Ann where they lived off the land. There, his art and spirituality flourished and he painted and carved his dreams and visions of the world around him. 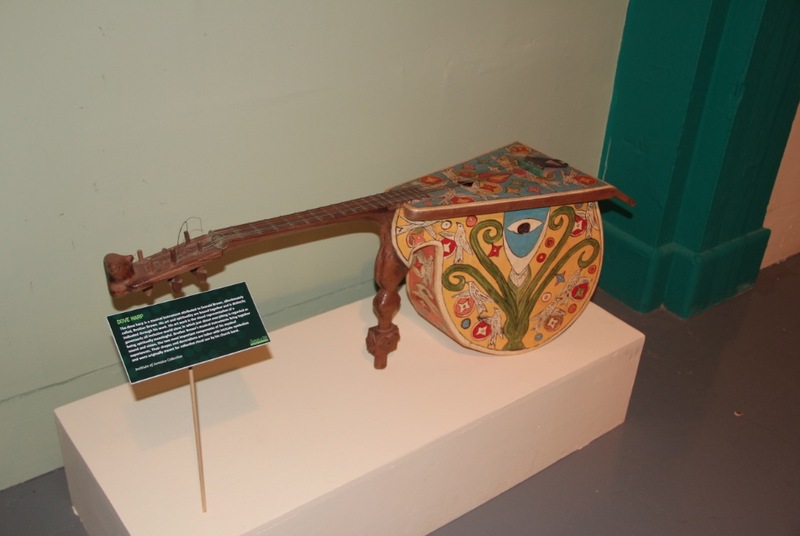 He also created handmade musical instruments, like the dove harp, and star banjos. Following his death in 2002, the National Gallery of Jamaica mounted a retrospective of his work in 2004. It featured more than 100 paintings, carvings and musical instruments. This week, I’m linking up with Travel Photo Thursday, which Nancie at Budget Travelers Sandbox organizes. Be sure to head over and check out other photos from locations around the world. Enjoy! Romance isn’t something I think about when I travel as most of the times, I’m traveling solo. When I travel with my partner, it’s an entirely different trip as every activity we engage in, whether we’re looking at art, admiring the architecture of an old building or sharing a meal, is infused with the passion we have for each other, and romantic feelings bloom. That’s not to say that when I travel solo I don’t notice places that evoke romantic feelings or ooze romance and make me wish he’d come with me – I do – but I focus on what interests me. So in celebration of romance and Valentine’s Day, I’m sharing some of the places and things that, to me, scream romance. Sunrise, especially those moments when night is slowly giving way to day, always stir romantic feelings. 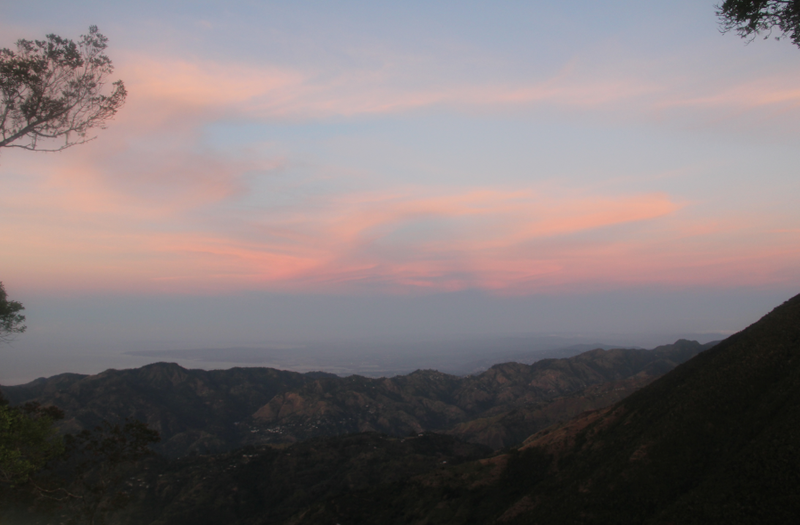 I was halfway up Jamaica’s Blue Mountain as the glow of the moon receded and the sun began to stain the sky with a muted palette of colors that made me feel just warm and fuzzy. British reggae band, Aswad, has been around since the mid 70s. Take a listen to one of their big hits, Don’t Turn Around. Though Judy Mowatt is best known as a member of the I-Threes, Bob Marley’s back up vocalists (Rita Marley and Marcia Griffiths were the other two), she is also an accomplished songwriter who enjoyed a separate career as a solo recording artist. Born Judith Veronica Mowatt in Kingston around 1952, Mowatt sang in a church choir and as a teen, was part of a dance group that toured the Caribbean. Later, she was a member of the trio, The Gaylettes, which had a major hit with the song, Silent River. Mowatt continued recording following the break up of the group and wrote several tracks for Bunny Wailer. However, because of contractual disputes, she used a number of different pseudonyms. Two of her tracks were on The Wailers’ Burnin album. In 1974, Mowatt had a second hit with a cover of I Shall Sing, a song recorded originally by Miriam Makeba. When she and Rita Marley backed up Marcia Griffiths, they hit it off and a new group, the I-Threes, was born. They joined Bob in 1975 and continued to back him up until his death in 1981. During that time, Mowatt continued to record on her own. Her first solo album, Mellow Mood, was released in 1975. Her second, Black Woman, the first album recorded at Marley’s Tuff Gong studios, is thought to be the best album by a female reggae artist. Mowatt followed up with Only a Woman and Working Wonders then took over producing her own music. She even founding her own label. In 1985, she became the first female to be nominated for a Grammy in the reggae music category for her album Working Wonders. Formerly a member of the Twelve Tribes of Israel, a Rastafarian group, Judy Mowatt converted to Christianity in 1990 and now sings Gospel music. In 1999, the government of Jamaica awarded her an Order of Distinction for her contribution to reggae music. Here’s Mowatt’s Many are Called. Born June Carol Lodge in London, England in 1958 to a Jamaican father and British mother, JC Lodge was taken to Jamaica as a child. She’s probably best known for her international hit, Telephone Love. An accomplished artist and actress, Lodge recorded more than 12 albums. She returned to live in the UK in 2001. On this lovely Sunday, I’d like to share two songs from ska and reggae singer, Phyllis Dillon, who made her first recording, Don’t Stay Away, for producer, Duke Reid, in 1967. She was at 19. Dillon did a lot of covers of popular songs from the U.S.
Take a listen to Perfidia and One Life to Live. Dillon, who was born in St. Catherine in 1948, moved to New York in 1967 and, for a while, would travel back to Jamaica to record. She ended her recording career in 1971 but resumed it twenty years later, touring Japan, Germany and the UK. In 1998, she returned to the studio with former Duke Reid session guitarist, Lynn Taitt, who had discovered her. She continued to perform until she became ill. Dillon died in New York in 2004. She was 56 years old. Singer and producer, Derrick Harriott, has been in and around the music business in Jamaica for well over 50 years. I hadn’t thought about him until a few days ago when I noticed his record shop in Kingston. I was surprised. Harriott is one of the pioneers of Jamaican music — one of its movers and shakers. He had his own label, Crystal, and produced several well known artists. At one point, he even had a show on one of the local radio stations. Harriott has several albums, including compilations, to his credit. Give a listen to Walk the Streets and Close to Me. I also stumbled on to this interview he did last year.